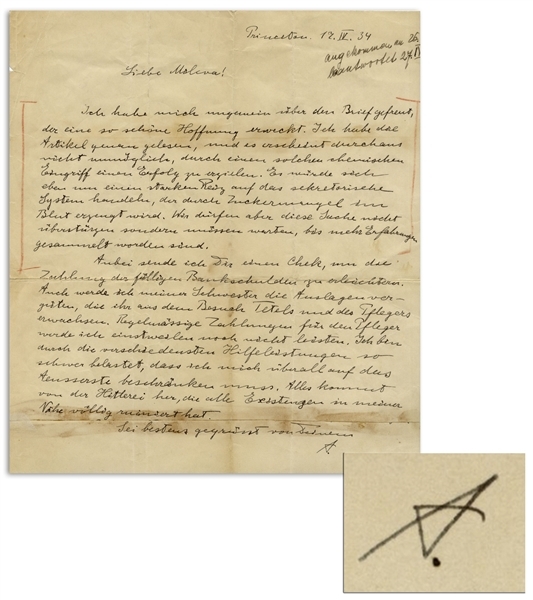 Albert Einstein autograph letter signed from 1934 during World War II to his first wife Mileva. 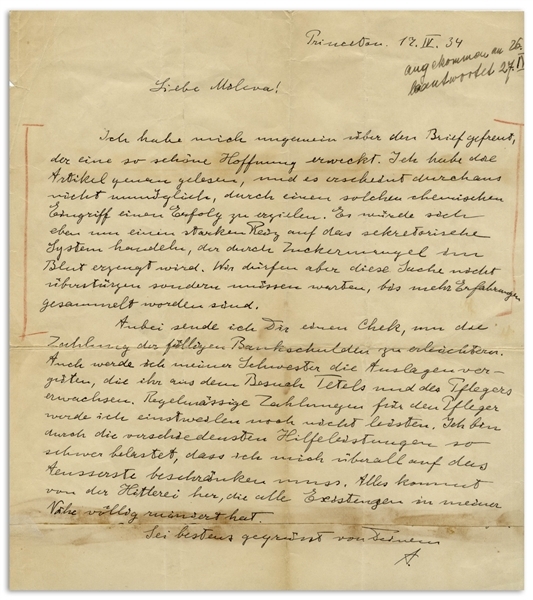 In this personal letter, Einstein writes about Hitler-insanity that is ruining the lives of those around him, as well as care for his son Eduard ''Teitel'' Einstein who suffered from schizophrenia; in this letter, Einstein expresses hope that a ''chemical intervention'' might help Eduard. 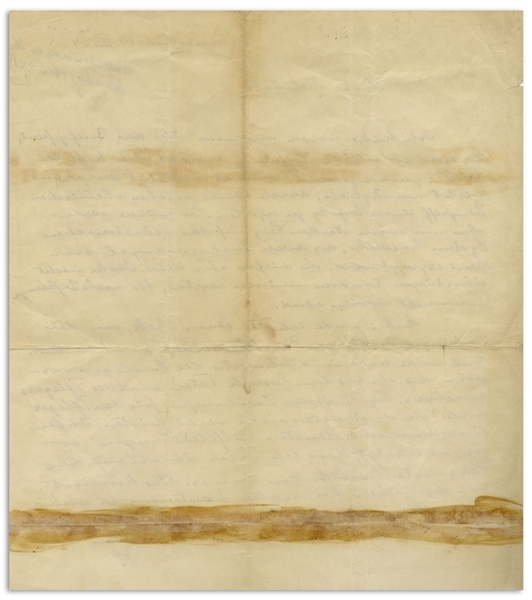 Datelined Princeton on 17 April 1934, German letter reads in full, ''Your letter, which raises such a lovely feeling of hope, made me immensely happy. 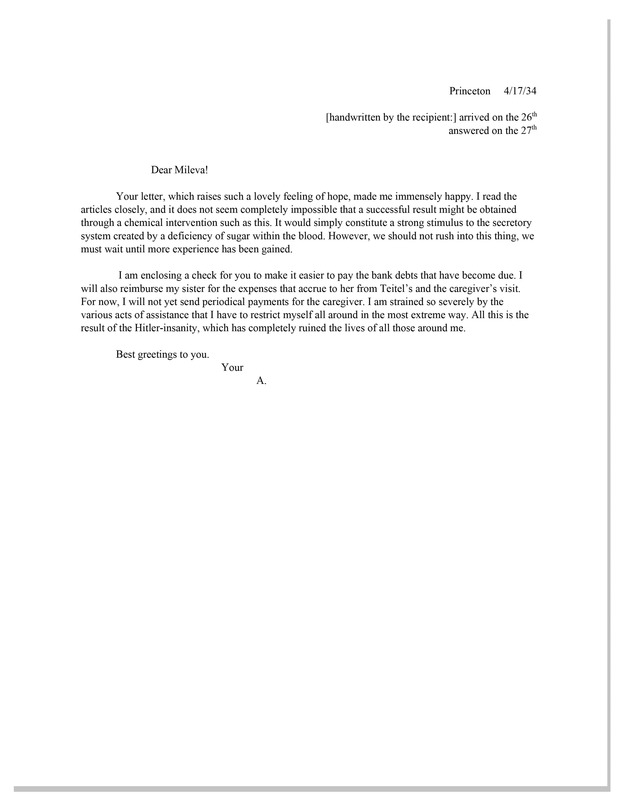 I read the articles closely, and it does not seem completely impossible that a successful result might be obtained through a chemical intervention such as this. It would simply constitute a strong stimulus to the secretory system created by a deficiency of sugar within the blood. However, we should not rush into this thing, we must wait until more experience has been gained. 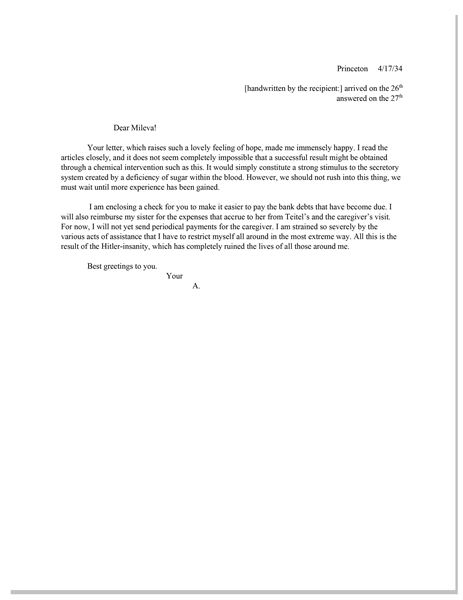 Single page measures 8.5'' x 9.5''. 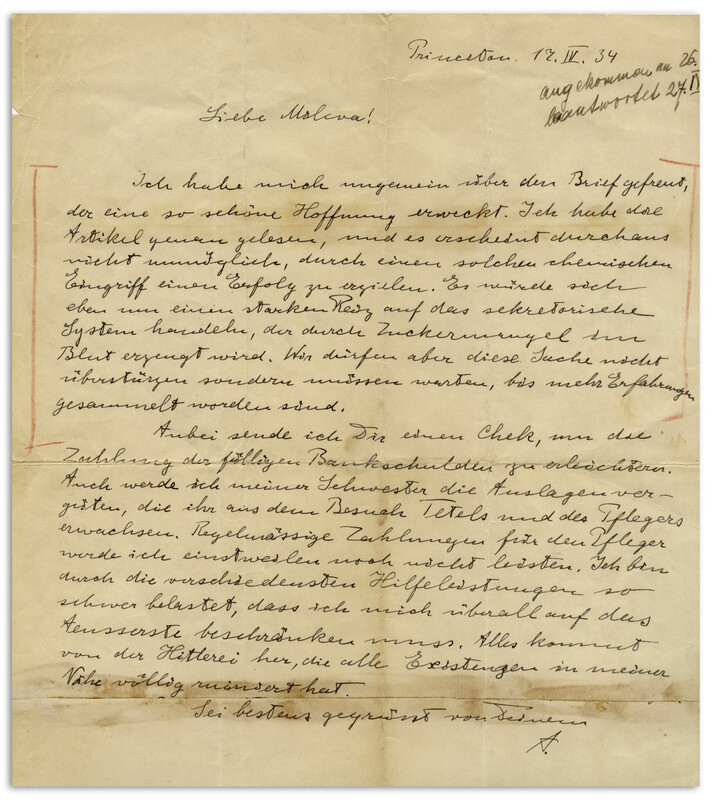 With docketing near top by Mileva. Folds, tape repair near bottom, and light uniform toning. Overall very good condition with extraordinary content both regarding Hitler and also Eduard's illness shortly after his diagnosis.